Interview: Alex Webster from Cannibal Corpse – Spotlight Report "The Best Entertainment Website in Oz"
Thanks to MaricMedia, we had the chance to talk with Alex Webster from Cannibal Corpse ahead of the band’s Australian tour in September alongside Hour of Penance to promote their latest album “A Skeletal Domain”. SR. You guys are about to release a new album: A Skeletal Domain. What can you tell us about this release? AW. It’s our 13th full length studio album, we recorded it earlier this year at Audiohammer Studios in Sanford, Florida with producer Mark Lewis. As with all of our albums, it is being released on Metal Blade Records. SR. How was to work with Producer Mark Lewis? What kind of suggestions you guys got from him? AW. We had a great time working with Mark. His style of production is a bit different from Erik Rutan’s (our previous producer) so it was interesting to work in a somewhat different way, in a different environment. The suggestions he had were mainly to do with the technical aspect of recording, things related to the actual tracking of the instruments. For example, we used direct signals for my bass tracks, rather than miking a cabinet. We’re very happy with the results. SR. Sadistic Embodiment is already on YouTube. How the fans reacted to the track so far? AW. So far the reaction has been very positive. It’s a fast, aggressive track, the kind of stuff we are known for, no big surprises. I think our fans appreciate our consistency. That said, I think we have some material on this album that sounds a bit different from what we’ve done before. It’s still extremely heavy death metal, but hopefully it will sound fresh and exciting to the listener. SR. What would you say is your favourite track of the new album? AW. Definitely the title track. It’s really heavy, with an almost epic feel. Sounds quite dark as well. 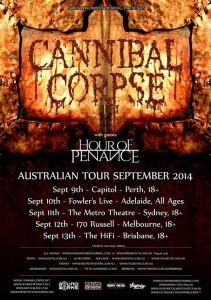 SR. You guys are heading back Down Under in September. How this tour will be compared with previous shows? AW. The main difference will be that we’ll be playing songs from the new album. It will be the same sort of show we always do: aggressive, no-frills death metal. The only difference will be the set-list. SR. How many songs are you planning to have in your set-list? Would you change the set depending on the audience or city? AW. It’s usually the same every night of a tour. Our headlining set is usually about 16-20 songs, and lasts from 75 to 90 minutes. SR. 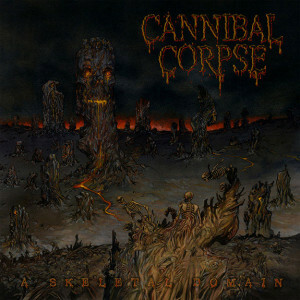 Despite some changes, Cannibal Corpse has reached a stable lineup compared to other bands over the years. How important this is for your work? AW. I think once you have a solid lineup it’s a really good idea to keep it together. 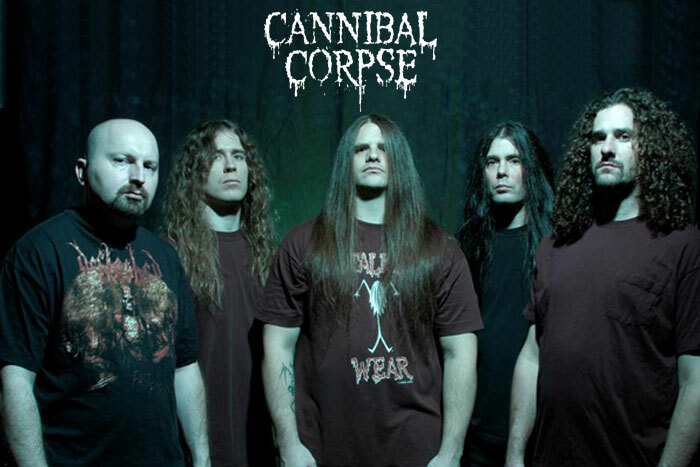 Since Rob returned in 2005 we’ve had some of our greatest successes, so we’re hopeful this will be the permanent lineup of Cannibal Corpse until the very end, whenever that may be. SR. I really need to ask you this, as everyone blamed me for skipping this question last time: Can you tell us more about that epic and hilarious scene featuring cannibal Corpse playing at the movie Ace Ventura? How did you guys get to do that? AW.I guess Jim Carrey was part of the decision to get us in the movie. Apparently he was listening to us around that time and they needed a band for the movie so he suggested us. SR. How was Jim Carrey on set? Would you invite him to jam on stage with you if you get the chance? AW. He was very nice to us during the filming. We haven’t thought about anything like that, since we haven’t talked to him in 21 years it seems unlikely there will be any further interaction between us. It was a great experience but it was a long time ago. SR. Last time we spoke, you shared with us about that crazy request from a fan who asked you to sign his infected testicle. A story that not even the likes of Wednesday 13, Max Cavalera or Ace Frehley could top when we told them your experience. I wonder if that story still remains as the top one of the craziest fan stories or something crazier happened during the last 2 years? AW. I think that’s still the top! Most of our fans just want to take a picture with us, get an autograph, or just talk. Strange requests like that are pretty rare. SR. Can you describe your life while on tour with the band? AW.I can’t ever think of anything when people ask me questions like this. I think our tour life is pretty mundane. The exciting part is the live performance- the rest is pretty boring. SR. Any message for the Aussie fans ahead of your visit to our shores in September? AW.We’d just like to say that we’re very excited to return! We always have a great time in Australia, and we expect this time to be more of the same! 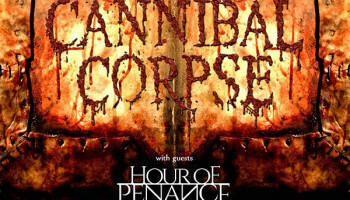 Also, we’re stoked to be doing the tour with our friends Hour of Penance. It’s going to be a killer night of death metal for sure!